Celebs and athletes alike took to social media early Saturday morning to celebrate the life of legendary boxer Muhammad Ali. 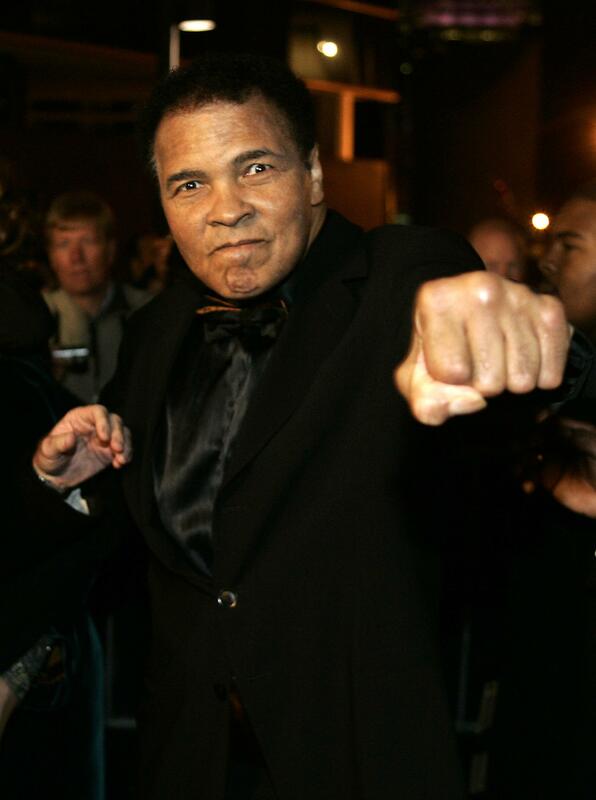 The heavyweight champion died Friday night at the age of 74, just one day after being rushed to the hospital for respiratory issues. The illness was said to be related to his late-stage Parkinson's, a debilitating disease he was diagnosed with more than 30 years ago. On Twitter and on Instagram, celebs and athletes shared memories, tributes, and heartfelt messages and prayers. They mourned his passing, but more often, remembered the tremendous life he lived. In many ways, Ali transcended the sport of boxing, becoming a celebrity and philanthropist that worked steadfastly to affect change. He was an "idol," a "legend," and a "champ." But the most frequent descriptor? GOAT, or greatest of all time, a title he gave himself early in his career. It's clear the titan leaves behind an extraordinary legacy and a sport that was changed forever once he got in the ring.